Peruvian cuisine might not have the heavyweight clout of Italian, French or Indian food in terms of sheer global recognition. However, over the past couple of decades or so, more and more foodies and travellers alike are discovering this wonderfully unique and exciting cuisine for themselves. 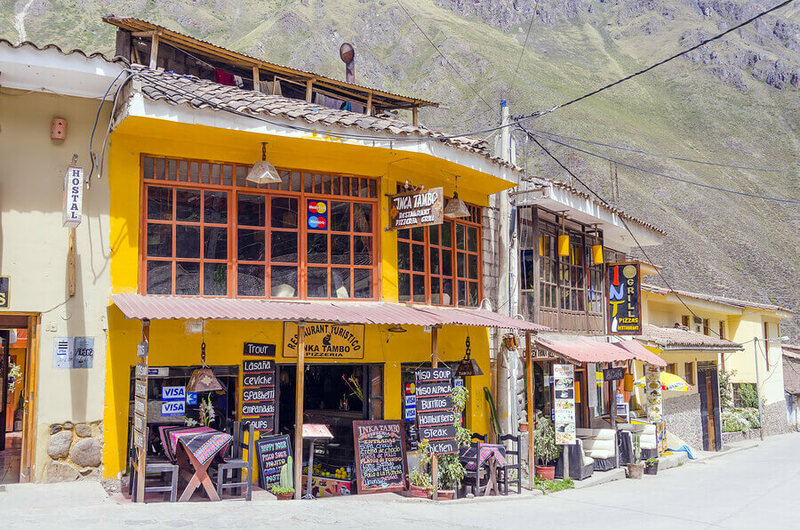 While it might not yet be as mainstream as other international flavours, with more holidaymakers booking trips to Peru for the Inca Trail than the incredible tastes, we think it’s only a matter of time. These intricate traditional dishes carry all the flair needed to have visitors from across the world falling in love. Their food is a mix of minute to giant flavours. It’s like a minimalistic painting where the splashes of colour feel even brighter on your palette, thanks to their modest undertones. It’s bold and reserved in just the right places: a careful symphony with a booming finish rather than one or two heavy notes. Not only do they know how to get the best out of their ingredients, but the flavours are like very little else in the world. The irony of this is that it is largely the result of immigration from different continents, from east to west. Long before fusion cooking was popular, Peruvians were experimenting with food in a way that was far before its time. The end result however is completely its own beast. In fact, so unique are the flavour profiles that, if you’ve never tried Peruvian food before, you may find there’s nothing else to compare it to. Here are a few traditional dishes to help you plan your own culinary journey. We’ll start with something a little closer to home. This is more a toe dip rather than jumping in at the deep end if you will. 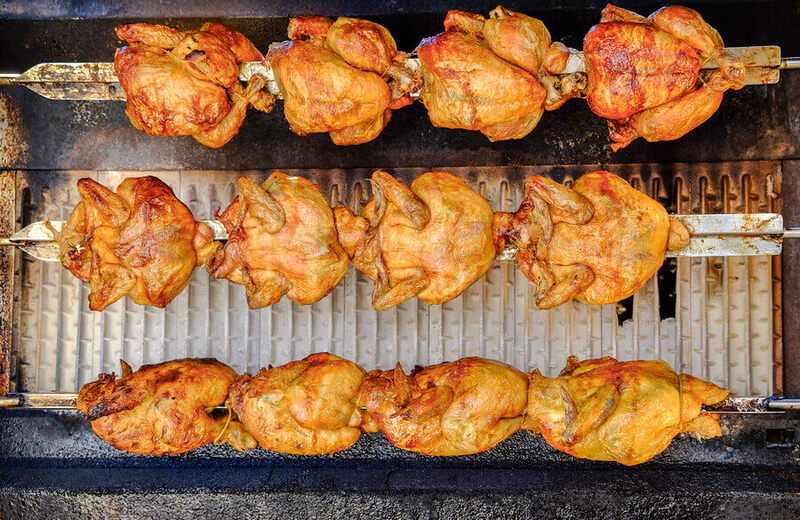 Put simply, this is roast rotisserie chicken: something most westerners have tried at some point in their life. However, Peru does it better than arguably anywhere else in the world. If it doesn’t immediately become your favourite way of cooking chicken, it might be a top contender. Marinating in a delicious mixture of garlic, spices and herbs creates an irresistibly crispy chicken skin seasoned to perfection. It’s also served with green huacatay: a delicious creamy sauce. When it comes to kicking off Peruvian holidays, we can’t think of a better way to indulge. A dish that can be found anywhere from the humblest of diners to the finest of restaurants, arroz con pato, which can be simply described as rice with duck, is a dish that defies expectations at any table you’re lucky enough to have it on your plate. Here, the rice is as much of the star, perhaps more so, than the duck. Cooked in a stunning cilantro paste mixed with dark beer and herbs, it’s delicious enough on its own to leave very few diners complaining. Topped off with a stunning roasted duck thigh, it’s sheer perfection. While the humble potato casserole might sound like a dish without much refinement, causa is perhaps one of the most elegant dishes anywhere on the Peruvian culinary scene. Golden mashed potato blended with lime and spicy aji amarillo sauce is topped with fish, before being finished off with layers of avocado, eggs and olives to complete this Peruvian masterpiece. One of the best parts of this dish is just how versatile it is. There’s so many variations to it, this really is as simple or as complicated as you want to make it. 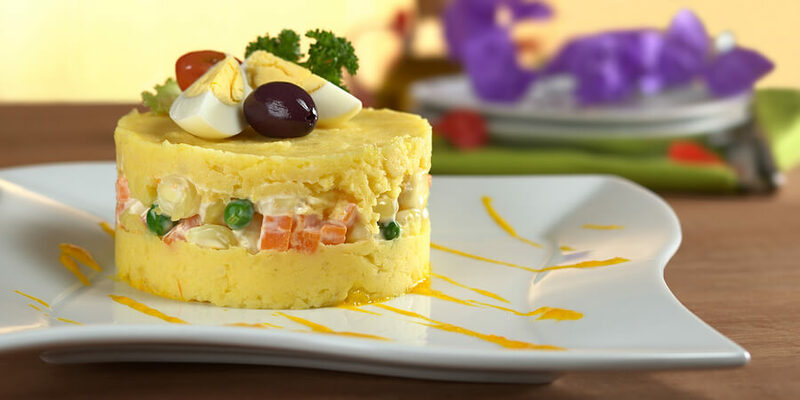 Showing the European influence on Peru as much as anything else on this list, causa can be made in a variety of styles, from cake roll to casserole. However you choose to have it, the taste is unmistakable. 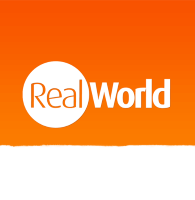 Stuffed peppers might not seem like the most adventurous dish to show off the weird and wonderful world of Peruvian cuisine, but sometimes a surprising spin on even the simplest of ideas can create something that defies all expectations. Rocoto relleno is one such dish. For starters, this is no ordinary pepper. In fact, it’s not really a pepper at all. This is a red aji rocoto chilli, known for their ferocious bite. Filled with an egg and milk sauce, this is a wonderful example of the contrasts that give Peru’s dishes their star moments. The shock of the first fiery bite is immediately relieved by that stunning creamy sauce before the technicolour of flavours finally erupts. Done right, this is a surprisingly flavourful affair. An example of how Peruvian cuisine can cross continents, we now move from a European inspired dish to one with a little more Asian flair. 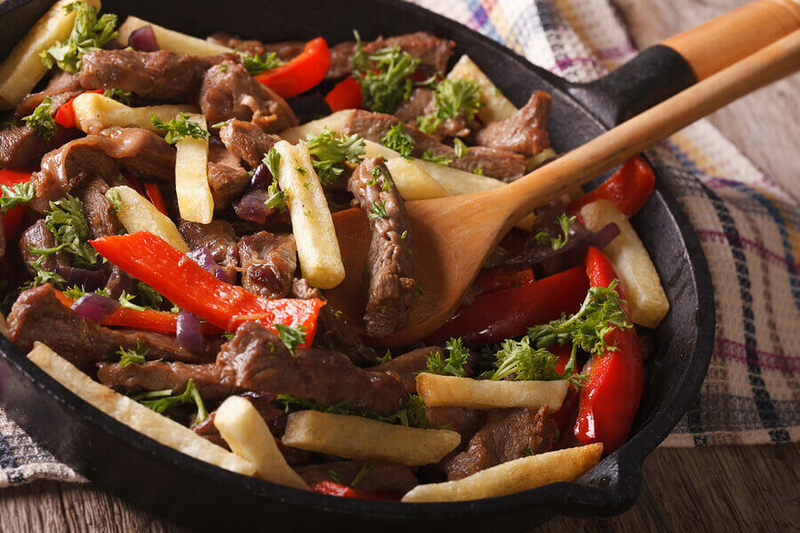 Lomo saltado is a stir fried beef dish, which clearly takes a great deal of influence from Chinese cooking, from flavour profile to technique. However, this is by no means a simple take on classic Asian dishes. Its use of local ingredients really makes this stand up on its own. The beef is marinated in soy, tomatoes, chillies and spices until it creates its own incredibly succulent gravy. It’s then finished off with a mixture of two carbs, one from the west and one from the east: chips and rice. Lomo saltado perfectly encapsulate exactly what makes Peru such a special place to eat.